Mr. Sullivan, together with Jack Stolier, founded the law firm in 1987 concentrating on the business aspects of the health care industry. His practice merges his training and experience in health systems management with law. Mr. Sullivan represents hospitals, physician groups, and other health care providers, with respect to payment issues and transactions. Additionally, he provides legal counseling on regulatory compliance, including Anti-Kickback Act, Stark, and false claims. 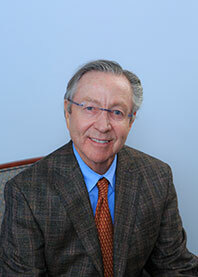 Mr. Sullivan’s experience includes representation nationwide involving hospitals and other healthcare businesses.